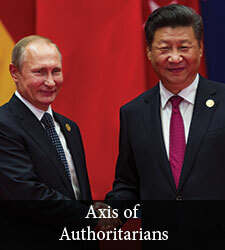 This is the preface to Axis of Authoritarians: Implications of China-Russia Cooperation. Most participants were in agreement on two aspects. 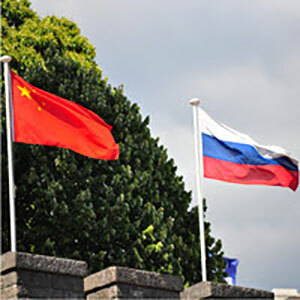 The first is that relations between China and Russia have grown closer in ways that are troubling for the United States and its allies and partners. As Chinese and Russian authoritarianism has strengthened, the two countries have transcended the “axis of convenience” concept that Bobo Lo used to characterize the relationship ten years ago. 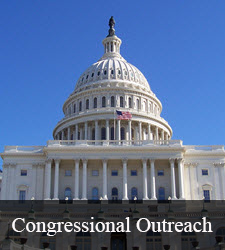 In its place, they have cultivated an axis that has strategic and other ambitious goals. While not leading yet, nor perhaps ever, to a formal alliance, China and Russia are taking steps to undermine the United States and other liberal nations and to expand their own influence abroad. The other point of majority agreement is that the United States and its allies and partners need to strengthen their capacities to defend their interests. The volume explores the strategically significant cooperation between China and Russia and the implications of this cooperation for the United States, including a thorough assessment of policy options. It begins with Richard Ellings examining the strategic context of contemporary China-Russia cooperation as it is influenced by the fast-changing balance of power. He addresses the question of how the two countries’ positions in the world, ideologies, and political systems shape their national interests and strategies. He shows the ways China and Russia perceive new opportunities, individually and together, for weakening liberal democracies and eroding key tenets of the post–World War II international system. At the same time, he argues, because Russian interests to align with China are mixed, and Russia exhibits major vulnerabilities, there may be more opportunities to change Moscow’s strategic calculations than Beijing’s. The volume then addresses functional areas of strategic cooperation. Charles Ziegler’s chapter tackles China-Russia relations in the domains of energy, trade, and finance. Like Ellings, Ziegler contends that China and Russia seek to reshape international institutions and that China’s vastly superior power has created some distance in the relationship. Beijing has the economic upper hand over Moscow, and its close ties to the Russian economy give it leverage with Washington—but only to a point. The Chinese economy remains deeply intertwined with that of the United States. Toughened U.S. trade policies toward China, U.S. allies, and multilateral institutions could drive Beijing and Moscow closer together. 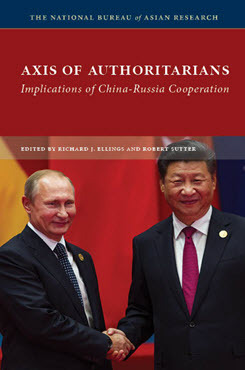 In his chapter, Richard Weitz charts the remarkable deepening of China-Russia military ties in recent years. He predicts that the two countries will continue their cooperation on regional security, joint exercises, and arms sales—though, similar to China’s economic success, China’s rising military is discomfiting to many in the Kremlin. The strength of U.S. alliances and partnerships will be central to limiting the authoritarians’ defense ties and maintaining U.S. strategic advantages where possible, and Weitz stresses the need for the United States and its allies and partners to strengthen their security cooperation. Peter Mattis examines Chinese and Russian political interference activities and influence operations, a topic that has catapulted to international prominence in the last few years, particularly in light of Russia’s malign activities in the 2016 U.S. presidential election. The two authoritarians’ operations largely differ and, to date, show little evidence of direct coordination, but there is evidence of intelligence sharing between the two countries and the replication of more aggressive Russian tactics by China on some fronts. Each country has developed formidable tactics to weaken democratic governments and institutions. Like the other authors, Mattis prescribes collective measures for the United States and other liberal democracies to counter Chinese and Russian influence and interference. James Steinberg looks at the big diplomatic picture, providing historical context and surveying the security, economic, and political dimensions of Sino-Russian relations. For Steinberg, the critical question is not the extent of bilateral cooperation itself, but whether that cooperation harms fundamental U.S. interests. In his assessment, the challenges that Russia and China pose to the United States stem less from their collaboration than from their individual policies. Nonetheless, where their growing coordination can negatively affect U.S. interests, he argues that a policy of international engagement and support for U.S. allies and partners provides the best remedy. In the volume’s concluding chapter, Robert Sutter synthesizes what these chapters and the full findings of this multiyear NBR project mean for U.S. policy. U.S. and allied-country experts agree that the United States must strengthen its position economically, diplomatically, and militarily to deal with the significant challenges posed by China and Russia. They differ, however, on the degree of strengthening needed in each area and whether the United States should accommodate Chinese and Russian interests. Nonetheless, a position of general accommodation toward both authoritarian powers is not favored by the project’s participants (other than by the experts from China and Russia). This volume is the capstone to two years of considerable effort. 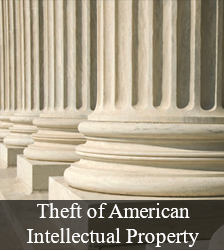 An immense debt is owed to Stephen Del Rosso of the Carnegie Corporation, whose early insights helped frame the major issues our team subsequently tackled. We also owe enormous gratitude to the authors of each chapter in this volume and to the scores of individuals from across the United States and around the globe who participated in the numerous workshops and events. They helped shape and refine the project’s scope and output at each stage. 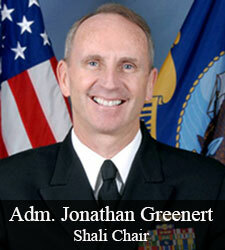 A formidable team of senior advisers—Aaron Friedberg, Admiral Jonathan Greenert, Ambassador J. Stapleton Roy, James Steinberg, and Angela Stent—offered critical feedback during workshops and on papers. 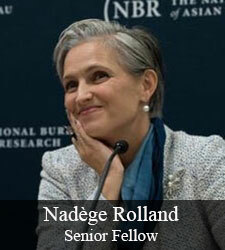 NBR was fortunate to have such a high level of scholarly and practitioner expertise on hand throughout the project. An additional debt is owed to the team of editors and researchers at NBR. NBR’s publications team, led by Joshua Ziemkowski with the assistance of Jessica Keough and Alexandria Baker, checked every footnote, comma, and turn of argument. Their editing improved both the logic and form of the chapters. Researchers in NBR’s Washington, D.C., and Seattle offices—Meagan Araki, Melanie Berry, Karolos Karnikis, Seo Jung Kim, Ian McManus, and Stella Robertson—located and verified sources, tracked down and compiled data, and constructed charts. Brian O’Keefe’s contributions in terms of research support and editorial assistance were instrumental to the timely production of this volume. 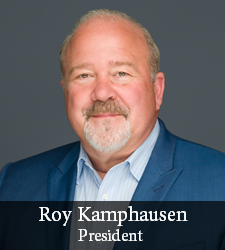 The team was overseen by Roy Kamphausen, NBR’s senior vice president for research and a key contributor to every phase of the project. Finally, the volume and entire effort were ably organized and managed on a day-to-day basis by NBR senior project manager Brian Franchell. Brian has devoted much of his time and energy to seeing the project through, from its earliest conceptualization to this volume. His diligence and commitment deserve our highest commendation. Michael S. Chase et al., “Russia-China Relations: Assessing Common Ground and Strategic Fault Lines,” NBR, NBR Special Report, no. 66, July 2017; and Shoichi Itoh et al., “Japan and the Sino-Russian Entente: The Future of Major-Power Relations in Northeast Asia,” NBR, NBR Special Report, no. 64, April 2017. 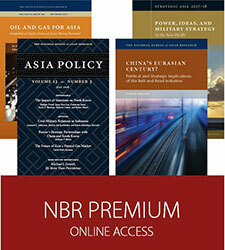 “The Strategic Implications of Russia-China Relations: Regional Perspectives,” Asia Policy 13, no. 1 (2018); and Robert Sutter, “When Will Closer China-Russia Cooperation Impact U.S. Policy Debate?” Diplomat, September 14, 2018. An NBR Special Report presenting Chinese, Russian, and other regional perspectives on the growing ties between China and Russia is forthcoming. Bobo Lo, Axis of Convenience: Moscow, Beijing, and the New Geopolitics (Washington, D.C.: Brookings Institution Press, 2008). Robert Sutter is Professor of Practice of International Affairs at George Washington University and the principal investigator of the project “Strategic Implications of China-Russia Relations” at NBR.